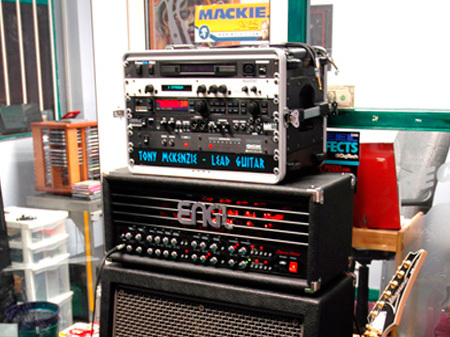 Some say that Horst Langer the inventor of the Engl E670 saw the future when he designed this amp. But is it REALLY the worlds best and most flexible amp out there? This amp made by Engl in Germany has since the day I got it been one of the best amplifiers I have ever used with more features than you might be able to handle. I have played through most including Marshall, Mesa Boogie, Vox, Randall, Fender, Peavey; the list goes on and on. Each and every amp I have played through offers something special. For example, if you buy a JTM45 (I have one I made myself) then that amp in a particular circumstance is the best amp in the world at that time. Much of it comes down to having the right sound for the right music and a amp is one of the most underrated things that affects your tone (along with the speakers). How many times have you looked at expensive guitars and thought 'maybe that guitar holds the key to my sound it will be my next buy to make me a rock god' or 'I've got to get a Les Paul, this copy has no comparison to the real thing'. You may be partially right, but I can tell you your amp and cab will make a bigger difference than ANYTHING else you do. Trust me on this. So why is the Engl E670 different or 'better' than all those other amps out there ranging from a few hundred pounds up to many thousands? The answer is simple, flexibility. 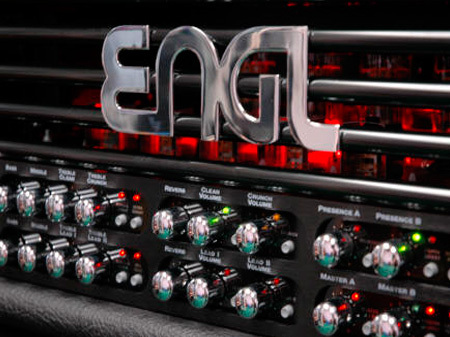 It does not matter what style you play, what guitar you play or what effects you have I can tell you that the Engl E670 will give you the sound you want, when you want it, to the highest standard of any amp in the world at ANY price. Now that's a bold statement and you Marshall, Mesa and other guys might question me on this, feel free, because on this one you are going to be wrong. There is always a caveat to everything in life, and the caveat for the Engl E670 starts where it is made, in Germany. No, it's not that the Germans always get to the sunbeds by the pool on vacation first, it's not for a thousand other reasons why you would 'tarnish' the Germans, you may be wrong on all counts (Germans are the same as everyone else, indeed I have some really great German friends and colleagues); the caveat is that where the Germans live they use monopoly money, yes that's right, EURO's. And what do Euros Make? They make a big fat hole in your bank account if you have pounds or dollars to spend, well they used to, but in 2015 (as a reference) they are rather more like mickey mouse money to go with mickey mouse governments it seems. Here's the example; when I bought my E670 I bought it from Guitar Centre in Cologne, Germany. The List price was silly and the best price they would do was about 3,200 Euros. The exchange rate for the pound at that time allowed me to buy this amp for £2,200 Pounds which for what you get is a veritable bargain. Compared with the price today as per this review date the amp would now cost you £3100 pounds or if you prefer $4000. The banks have all helped with this degeneration of the currencies in a big way. They need a good talking too but that does not change anything here for me and you. In fact as I write this review here in the UK the E670 costs (believe it or not) £3200 pounds including our juicy European tax at 20% because of the wanker bankers (great name for a band right?). But surely that price will stop most from buying this amp; is it REALLY worth that money? It can't be can it? This is a very high end amp featuring Tubes and Midi: Four SELECTED 6L6GC tubes (or you can install EL34 if you must. Easy re-biasing on board change the tube type in 10 minutes. There are 5 Preamp tubes 12AX7/ECC83 types. This amp utilizes TWO sound modes for all FOUR channels - Modern and Classic: Great TONE for many styles (but I still think rock here). TWO sounds X four channels equals eight superb sounds. There's a TWO section EQ with Bass, Middle and Treble: For main channel 1, Clean and Crunch. For main channel 2, Lead I and Lead II. BOTH voicing sections feature completely separate treble knobs for each of the four sub-channels to be shaped and fine tuned with precision. FOUR Voicing Buttons: Bright, Ultra Bright, Contour and Mid Edge: Normal Bright and Ultra Bright on the clean and crunch channels elicit chiming, bell like top end. Contour and Mid Edge on the Lead I and Lead II channels - shape crucial mid range frequencies to create commanding lead tones. The Voicing buttons offer an amazing range of options for shaping basic lead sounds. Built in Spring Reverb: The two main channels intensities' can be adjusted individually, and reverb may be activated separately; it's an accutronics unit installed internally offering amazing natural sound the effect ADDS warmth and depth to every signal. FOUR Gain knobs and TWO Gain Buttons: Each of the sub channels Gain is independently variable. This makes it easy to fine-tune input sensitivity and control the amount of distortion in the crunch and lead channels gain Boost and Lo/Hi Gain extend the four channels gain spectrums. Tube Driver Circuitry Featuring separate EQ: A separate tube driver stage which is crowbarred on to the amp enhances dynamic response and offers added sound-sculpting options. Equipped with a separate EQ with bypass and a sensitivity knob, the Tube Driver can serve as a tube preamp for inserted effects or as an auxiliary clean channel. You CAN make a stratocaster sound good! As you have probably guessed I feel strongly about this amp; so much so that I wrote a whole site comparing this amp to many other brands with sound samples etc. - why not visit that site or even the manufacturers site to see more of this behemoth of an amp. 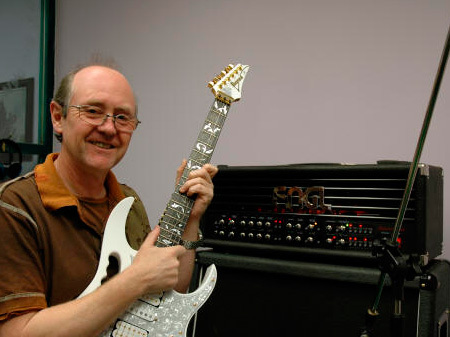 Here's a link to the Engl site: http://www.englamps.de and a link to a site I wrote about this amp: www.englamps.co.uk to find out more about this amazing amplifier. Please note this is a short review as the www.englamps.co.uk site has more and is dedicated to the E670.